Every year, I try to see five movies from the Alliance Française French Film Festival towards the beginning of the year and five from the Lavazza Italian Film Festival towards the end of the year. Due to the research and thesis work, I missed the Italian Film Festival last year and the French Film Festival this year. However, I am back to re-educate and refresh my mind with some cinematic delights. My first selection from the 2015 Lavazza Italian Film Festival is Se Dio Vuole (God Willing). The story centres around Tommaso, a successful surgeon who is quite similar to Hugh Laurie’s Gregory House. Wonderfully portrayed by Marco Giallini, he is staunchly rational, self-centred, and an atheist. When his son Andrea (Enrico Oetiker) wants to announce something significant to the whole family, including the housekeeper, Tommaso suspects that Andrea may decide to come out and come clean about his sexuality. He rallies around the family, asking them to be supportive and to be happy for Andrea. When the moment comes, however, Andrea only mentions that he has met Jesus, and he wants to join a seminary and become a priest. This decision unravels the family. Tommaso thinks that this is a waste of his life and how he can believe in an “imaginary friend”. Furthermore, through a by-and-by comment, Tommaso’s wife Carla (Laura Morante) also realises that she’s not leading a life that she wants, and wants to rediscover her identity. In an effort to regain control of the family, Tommaso then tracks down the priest who “converts” Andrea – the charismatic priest, Fr. Don Pietro (Alessandro Gassman) – and investigates whether he hides a secret that he can expose. As a believer in God, perhaps it’s a paradox that I actually don’t like faith-based movie that much unless it is well-made. Many movies about faith are either preachy and sacchariney with wooden acting and leaving you with an impression that you have just seen a badly-acted school play. Otherwise, it would be movies that are hell-bent in trying to convert you from believing in God. 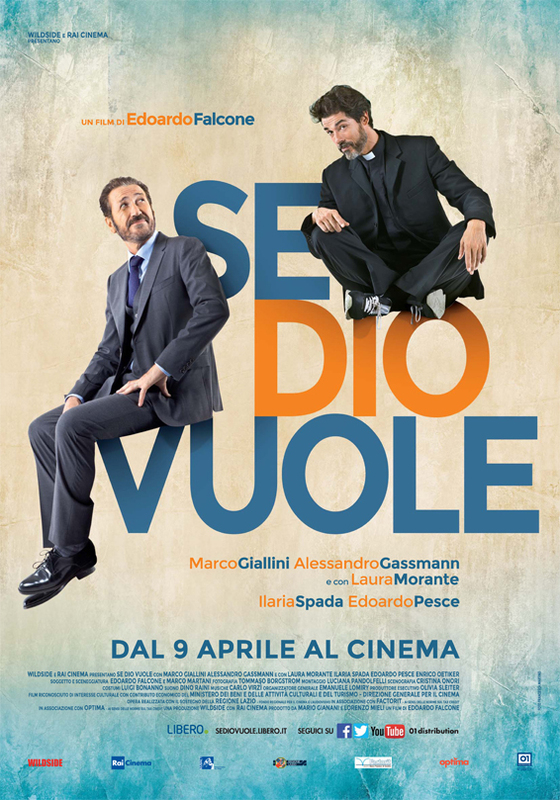 Se Dio Vuole is actually packaged as a comedy that invites some deep laughter when you watch the scenes play out on the screen. Some of the characterisation may be predictable as well but all of those factors aside, Edoardo Falcone manages to tease the viewers with some philosophical questions about hypocrisy and God, without any pressure for us to go one way or the other (although Falcone does lean towards one side of the argument). I enjoyed Se Dio Vuole for the laughter and the way the movie packages something that can be considered cloying, heavy or overpowering into something light and digestible, with some interesting aftertaste.